The Apple I Owners Club was founded in 1977 by Joe Torzewski. If you'd like to have a page here, email Tom Owad. 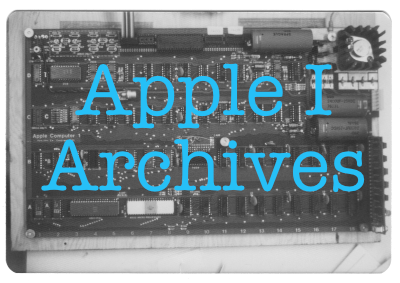 If you have any software, new or old, for the Apple I, please upload it to the Apple I Software Library.